Obed & Isaac’s is one of Springfield’s most popular local brew houses and recently expand outside the city limits. Owned by the Conns, Karen’s father started home brewing in the early 2000s and introduced the craft to the rest of the family. They soon realized they were consuming the results of their labor faster than it could be brewed. Mixing good food and beer came naturally to the family and so they decided to open a microbrewery and restaurant in downtown Springfield. The story of Obed and Issac’s begins with the Obed Lewis House, on 7th and Jackson, which was demolished and replaced by the Maisenbacher House, donated by Springfield Clinic. Unfortunately, the Maisenbacher house was not fit to hold a restaurant, but the Italianate mansion across the alley was available and in need of a steward – now home to Obed & Isaac’s. The brewery officially opened on February 12, 2012 – Lincoln’s birthday - and since then the Conns have seen one success after another. Court’s sons, Casey, 33, and Adam, 30, have taken on the roles of general manager and brew master, respectively. 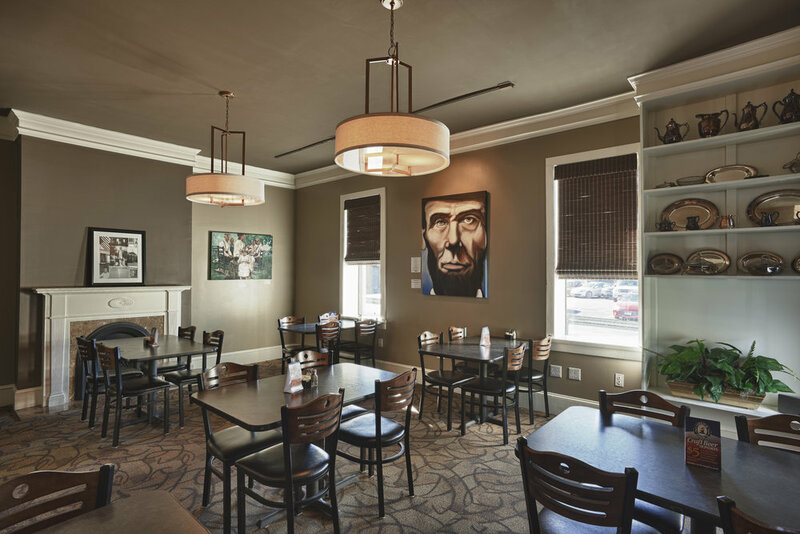 Obed and Isaac’s collaborates with organizations in Springfield including Downtown Springfield Inc. and considers its fellow members - even if they are restaurateurs or deal with craft beer - equal partners in the community. “We have a longstanding relationship with the local home brewer’s guild, as we work with members to put collaboration beers on our taps. We contribute heavily to charitable organizations that work to make Springfield, and now Peoria, better places to live. Furthermore, we appreciate a very collegial relationship with other breweries in town, since we believe there’s plenty of room in the sandbox,” said Court. Obed & Isaac’s expanded into Peoria on September 26. 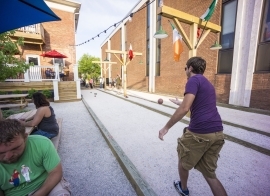 “Every day that we’re open is a day we’re improving operations and we’re very excited to roll out the rest of what we have to offer by summer 2017.” Although the restaurant and brewery are fully operational, private event spaces will be available next year, with patio dining, similar to Springfield, coming in spring and finishing touches on the bocce and beer garden by summer. From there, the Conns have discussed the possibility of creating a charity event similar to t the Springfield Oyster and Beer Festival.